« Happy Birthday Mary Quant! 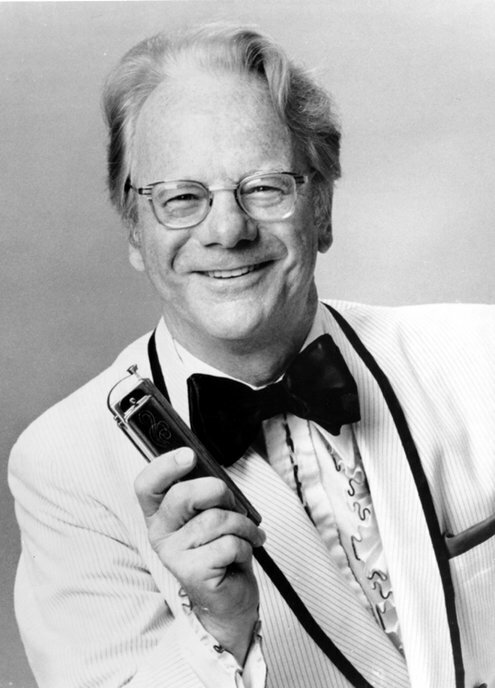 Richard Hayman, who began his career as a harmonica player and went on to become the conductor of pops concerts in St. Louis and the arranger of pops concerts in Boston, died on Wednesday in Manhattan. He was 93. His death, in a nursing home, was announced by his daughter Suzy Hayman DeYoung. Mr. Hayman was the St. Louis Symphony’s pops conductor from 1976 until the pops concerts were discontinued in 2002. He was also the chief arranger for the Boston Pops Orchestra for more than 50 years, under both Arthur Fiedler and John Williams, and conducted pops concerts in Detroit, Hartford and other cities in the United States and Canada. Mr. Hayman was born on March 27, 1920, in Cambridge, Mass. After graduating from high school, he joined the popular multi-harmonica ensemble Borrah Minnevitch and His Harmonica Rascals. He later moved to Hollywood and worked as an orchestrator for MGM on “Girl Crazy” and other movie musicals. In the 1950s he was in charge of artists and repertoire for Mercury Records and made several instrumental records as a leader. In addition to his daughter Suzy, he is survived by his wife of 53 years, Maryellen; another daughter, Olivia Hayman Kidney; and four grandchildren. Among Mr. Hayman’s more unusual performances was “Starship Encounters,” a multimedia presentation at Madison Square Garden in 1978 at which he conducted the American Symphony Orchestra. The repertoire included music from “Star Wars,” “2001: A Space Odyssey” and other science-fiction movies; three movements from Holst’s suite “The Planets”; and a dramatic reading by William Shatner from the Arthur C. Clarke novel “Childhood’s End,” accompanied by Stravinsky’s “The Firebird.” The music was enhanced by an elaborate light show and other sonic and visual effects.